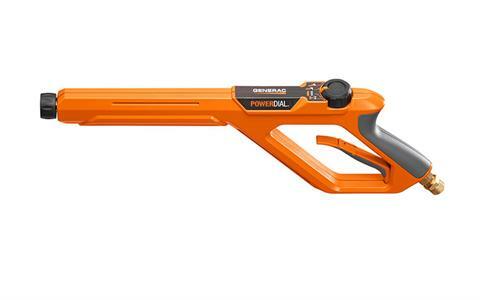 POWERDIAL™ ERGONOMIC SPRAY GUN: PowerDial™ ergonomic spray gun allows you to easily adjust the pressure needed between four different tasks – car, wood, concrete and soap – at your fingertips. 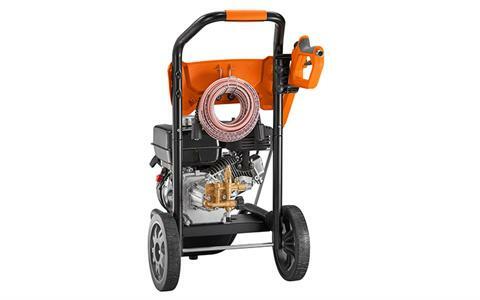 TURBO NOZZLE: Turbo nozzle attachment with rotating pinpoint stream is designed to remove stubborn dirt and grime off tough surfaces 30% faster than standard nozzles. SOAP BLASTER: Soap Blaster attachment sprays soap 3X farther than a standard nozzle tip to penetrate tough stains and improve cleaning results. 30 FOOT HIGH PRESSURE FLEX HOSE: 30 ft. high pressure flex hose, most flexible hose in the industry; kink resistant, non-marring. 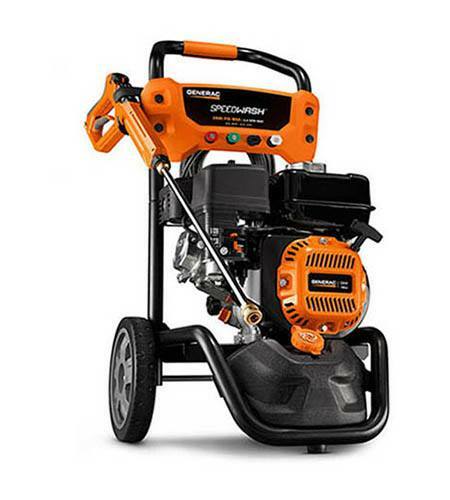 POWERFUL GENERAC ENGINE: Powerful Generac 196 cc OHV engine delivers maximum cleaning performance. EASY-ACCESS PUMP: Horizontal axial cam pump with easy-access hose connections alleviates kneeling on the ground to connect hoses. NOZZLE TIPS INCLUDED: Includes 4 quick-change nozzle tips: 0°, 25°, 40° and soap. 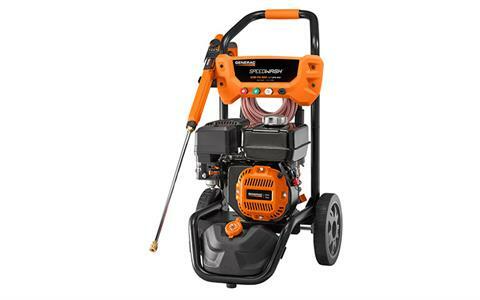 POWER BROOM: Power broom attachment is equipped with high pressure nozzles to clean 4X faster than standard nozzles. BRASS HEAD AXIAL CAM PUMP: Brass head axial cam pump lasts 2X longer than aluminum head pumps.